Shalom. Our teaching this morning will be about the menorah, the seven branch candlestick that burned continually in the Sanctuary and the Temple outside the veil which was before the ark of the covenant. According to midrash, a midrash is Jewish tradition of some kind of story in the form of a commentary on The Tnakh, The Old Testament Scriptures, Moses was given directions for the Tabernacle menorah several times. A blueprint for its design was projected against the cliffs of Mt. Sinai with white, red, and green and black fire. GOD, the midrash says, even cast the design of the menorah against His own palm. And Moses repeatedly forgot the design of the menorah. And there are two opinions of how the problem was resolved. In one version, GOD referred Moses to the artisan, or the craftsman Bezalel who carried out the instructions immediately and perfectly. In another version, GOD commanded Moses to cast a talent of gold, some 80 pounds of gold into a fire. When he did so, the menorah shaped itself. Here’s a description in words from The Bible describing the menorah which is a Hebrew word meaning candlestick, or candelabrum, or lampstand. Thus, I have a seven branch menorah placed on the table for all to see. It’s beautiful. So here’s the description of the menorah that GOD gave Moses. Make a menorah of pure beaten gold. The entire menorah and its decorations shall be one piece. It will have three branches going out from each side of the center shaft. Each branch decorated with three almond flowers. The central shaft itself will be decorated with four almond flowers. One placed between each set of branches. Also there will be one flower above the top set of branches, and one below the bottom set. These decorations and branches, and the shaft are all to be one piece of pure beaten gold. Then make seven lamps for the menorah, and set them so that they reflect their light forward. The snuffers and trays are to be made of pure gold. You will need a talent of pure gold, or eighty pounds of pure gold for the menorah and its accessories. Be sure that everything you make follows the pattern I am showing you here in the mountain. According to the Talmud, the menorah of pure gold was eighteen handbreadths high. A handbreadth ranges from 2 1/2 inches to 4 inches. Thus the menorah was 4 to 6 feet high. A copy of the menorah was made for the second Temple, as the original menorah might have been stolen or destroyed by the Babylonians when they destroyed Jerusalem and The Temple in 586 B.C.E., B.C. The Babylonian empire of 586 B.C.E., B.C. were the Iraqis and Syrians of today. 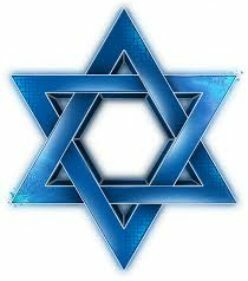 GOD says in Genesis 12.3, “I will bless those who bless the Jewish people, and curse those who curse the Jewish people”. Witness the turmoil, killings and bombings in Iraq and Syria today. The Romans, on the other hand for their evil and wickedness to the Jewish people for destroying Jerusalem and The Temple in 70 C.E., A.D., and killing upwards of a million Jewish people will receive their payback from The LORD in His time for all they perpetrated against GOD’s inheritance, Deuteronomy 4.20. And should Iran carry out their threats against Israel and the Jewish people as they have threatened over the past thirty-four years to destroy Israel and wipe them off the face of the map, they too will meet The GOD of Israel, and it will not be pleasant for the Iranians. It’s not too pleasant today for Iran with all the sanctions placed on them crippling their economy and their way of life. The value of the Iranian Rial in the 1960s was 76 Rials (the Iranian currency) to one U.S. dollar. Today it takes 24,800 Rials to buy one Dollar. It is a terrible thing to fall into the hands of the living GOD, for GOD is a consuming fire. Better to bless the Jewish people and be blessed, rather than curse the Jewish People and be cursed. When The Temple was destroyed a second time in 70 C.E., A.D. by the Romans, The Temple menorah was captured and stolen by the Roman armies led by Titus and taken to Rome. A replica of it is shown being carried to Rome in a triumphal procession. It appears in the famous arch of Titus in Rome where it symbolizes the subjection of the Jewish people to Rome. Iran or Persia, in the days of King Cyrus and Artaxerxes, blessed the Jewish people by allowing them to return from Babylonian exile to Israel to rebuild their country and The Temple. But today’s Iranian President, Hassan Rouhani said recently in American television interviews that the establishment of Israel is a crime. While his predecessor threatened Israel with annihilation; Israel and the Jewish people will remain forever. Iran will not. And those like Iran and the many enemies of Israel, unless they change for the good, face eternal damnation. Let’s look at some Biblical expressions concerning the Light, and the light of the menorah, the seven branch candlestick. There is no need for the sun in Heaven, for The LORD GOD, Yeshua The Messiah gives us light. I believe that the seven lamps of fire burning before the throne like a menorah that John saw, are the seven Spirits of GOD, that is the fullness of all that GOD is. And His fullness is beyond comprehension. GOD’s Law, The Law of Moses is Light, and Life. And Light is Yeshua the Messiah, The GOD Creation, Salvation, Truth and Good. Light is a symbol of life, blessing, peace, knowledge, understanding, wisdom, salvation and good. Whereas darkness represents chaos, death, ignorance, sin, suffering and evil. GOD is Light, and there is no darkness in Him. And GOD is the source of Light. GOD’s elect are the Children of Light, and the reprobate, those disobedient to GOD and His Law of Moses are the children of darkness. And that light of the menorah that burned continually in the Sanctuary and The Temple outside the veil, before the ark of the covenant, symbolizes that He Who keeps Israel will never slumber nor sleep. And He Who keeps you, will never slumber nor sleep. And The LORD will protect you from all evil. He will preserve your soul. He will watch over your going out, and your coming in from this time forth, and forever more. Posted on September 29, 2013 Categories Uncategorized6 Comments on THE STOLEN TEMPLE MENORAH. THE EIGHTH DAY OF TABERNACLES. Shalom. Our teaching this morning will be about the eighth day of Sukkot, or the eighth day of Tabernacles. GOD’s Laws concerning the eight days of Sukkot are in Leviticus 23.33-44. The Feast of Tabernacles by The Word of GOD spoken to Moses is a seven day Festival unto The LORD. And the eighth day of Tabernacles is also a special day unto the LORD. The first day of Tabernacles was last Thursday, the fifteenth day of the seventh Hebrew month Tishrei. It is a Holy Convocation. That is a gathering of the people for a Service dedicated to The LORD. And no work of any kind is to be done on that day. It is a Sabbath. And a sacrificial atonement for the forgiveness of sins was made unto The LORD for seven days. And also on the eighth day of Sukkot, an animal sacrifice was offered to The LORD for atonement for the forgiveness of sins. The eighth day of Tabernacles is today. The animal sacrifice during the course of the year was offered daily, and on every Sabbath, and during every Festival of The LORD. For some 1,440 years, the animal sacrifice was offered to The LORD for atonement for the forgiveness of sins. By GOD’s Law, the Law of Moses, the sacrifice for atonement began at the Sanctuary in the wilderness, from the time of the Exodus out of Egypt, and continued during first and second Temple times to 70 C.E., A.D. when the Romans destroyed Jerusalem and the second Temple. The same Temple Yeshua The Messiah walked in and taught in. But now without the Temple, the animal sacrifice in forbidden, Leviticus 17.3-9. The animal sacrifice was interrupted for seventy years when the Babylonians, today’s Syria and Iraq, destroyed Jerusalem and The Temple in 586 B.C.E., B.C. And The LORD GOD exiled the Jewish people to Babylon because of their iniquity and transgressions, rejecting the Statutes of The LORD their GOD, and His Covenant that is His Word and Law of Moses that He made with their fathers. And they followed vanity and went after the heathen that were round about them concerning whom The LORD had charged them that they should not do like them. 2 Kings 17.15. And the animal sacrifice was reinstated seventy years later in 516 B.C.E., B.C. when The Temple was rebuilt in Jerusalem by the Jewish exiles that returned to the land of Israel. Atonement for the forgiveness of our sins is a Must in the eyes of The LORD lest He hide His Face from us because of our unforgiven sins. Atonement is of the utmost importance. Sin, as we know is breaking The Law of Moses. 1 Samuel 15.24, 1 John 3.4. Thus atonement must be made by every individual for GOD to forgive us our sins, all of them. And according to The Word of GOD, atonement is accomplished only by the shed blood. Leviticus 17.11. And The LORD our GOD teaches Jewish people and all humanity that that atonement was made 37 years before the destruction of the second Temple in 70 C.E., A.D. And that atonement is Yeshua The Jewish Messiah Who is, and was The GOD of Israel in the flesh in the Person of Yeshua The Messiah. Daniel 9.24-26. 37 years before the Romans destroyed The Temple in 70 C.E., A.D., The LORD GOD provided Himself as a human being to be the perfect Atonement for His Jewish people, and all humanity. That human being Who was also GOD Himself, The GOD of Israel, Who provided Himself to be that perfect Atonement was Yeshua The Messiah. That is Biblical teaching prophesied in Isaiah 53, Psalm 22, etc., and fulfilled in the New Testament that was given to the Jewish people, to the House of Israel and to the House of Judah. That is why GOD Himself decreed to put Messiah Yeshua to death. To be the atonement for our sins, and to deliver His people from their sins, to be reconciled to GOD in peace. MATTHEW 1.21, ISAIAH 59.2, DANIEL 9.26. Yom Kippur, the Day of Atonement is an important reminder to Jewish people and everyone that GOD requires every human being to have atonement for their sins. The Day of Atonement does not forgive our sins. But it is the shed blood of the Jewish Messiah Yeshua that forgives our sins. Question? How can Yeshua The Messiah be GOD Almighty, The GOD of Israel? Well first of all, The Bible says He is. Isaiah 9.6(5), Micah 5.2(1), John 8.58, John 14.9,etc. GOD is GOD. He has no limitations as we do. GOD sent Himself as Yeshua The Messiah to the Jewish people in Israel. GOD sent Himself as Messiah Yeshua the very same way He sent Himself to appear to Abraham, Isaac, Jacob, Moses, and others. GOD sent Himself. That’s why Yeshua said, “He that sees Me sees Him that sent Me”. John 12.45. He that sees Yeshua sees The LORD GOD of Creation. And Yeshua The Messiah, The Holy One of Israel also celebrated all His Festivals that are described in Leviticus 23. And of course Messiah observed the eighth day of Tabernacles. So let’s see His teaching at the Temple that Day that concerned the eighth day of Sukkot. This event took place shortly before The LORD GOD decreed that Messiah must die for the sins of His people. The LORD GOD ordered Him to be killed by crucifixion to be our Atonement. Daniel 9.24-26. VERSE 37 The last day, the great day of The Feast, was the eighth day of Tabernacles, and Yeshua was in The Temple teaching. The same Temple that the Romans would destroy some 37 years later. And He stood and called out loud, “If anyone thirst, let them come to Me and drink.” That is, if anyone thirsts for GOD, let them come to Me, and I will give you the Spirit of GOD, The Holy Spirit, that comforts, and teaches you, and gives you eternal life. VERSE 38 Those who believe on Me, as The Scripture has said, out of his belly shall flow rivers of living water. VERSE 39 But Messiah spoke of The Holy Spirit that they that believe on Him should receive. For The Holy Spirit was not yet given because Yeshua was not yet glorified. That is, Yeshua had not yet given His Life to be our Atonement for the forgiveness of our sins. Nor was He resurrected on the third day after His death. Nor had He ascended into Heaven. iptures in Tnakh, The Old Testament Scriptures that Yeshua might have referred to. ISAIAH 44.1-3 Those who are thirsty for GOD. Those having a zeal and passion for The LORD according to knowledge fromThe Word of GOD, and come to their Messiah Yeshua, The Promised Messiah Who is The GOD of Israel, Messiah will give you The Holy Spirit and His blessing upon our offspring. ISAIAH 55.1-3 Those who thirst for GOD, and come to Messiah Yeshua Who is GOD, will buy wine and milk without money, and without price. Those are metaphors, a figure of speech for GOD’s Teachings, Laws, and Instructions. They cost nothing to receive. Listen to GOD and do what He says, and your soul will delight in the abundance of GOD. Listen to what He says and do it, and come to The LORD. The LORD, Jewish people, is your Messiah. Come to Him, and obey Him and your soul will live. You will have Atonement and Eternal Life with Him in Heaven. And The LORD will make an Everlasting Covenant with you, even the sure mercies GOD has given to David. And Messiah Yeshua is The Son of David. Yeshua said to the Jewish people at The Temple, if anyone thirsts for GOD, let them come to Me and drink. Those who believe in Me as The Scriptures have said will receive The Holy Spirit of GOD. The Understanding and the Knowledge of GOD, and Eternal Life. And they will delight themselves in the abundance of The LORD, even Atonement and Reconciliation with The LORD YOUR GOD. Sukkot, or Tabernacles is a time to rejoice before The LORD our GOD because we have received our Promised Messiah Yeshua, and we have Atonement for our sins through His death that was decreed by GOD for that very purpose. This a time to rejoice before The LORD. He has forgiven your sins, never to be mentioned again. He is our GOD, and we are His people. Therefore our GOD, we thank You, and praise Your glorious Name. Posted on September 27, 2013 Categories Uncategorized1 Comment on THE EIGHTH DAY OF TABERNACLES. Shalom. Our teaching this morning will be from Exodus 25.23-30. The measurements of the table were 3 1/3 feet in length, 1 3/4 feet in width, and 2 1/2 feet high. EXODUS 25.24 Thus the table was overlaid, or covered with pure gold, and a crown of gold was placed around the top of the table. EXODUS 25.25 A border or the frame for the table was a handbreadth wide, and a gold molding was put around the frame. A handbreadth is about 2 1/2 inches to 4 inches wide. EXODUS 25.26 Four gold rings were attached to the four corners of the table that were on the table’s four legs. EXODUS 25.27 The rings were placed close to the frame, and the poles were placed in the rings to carry the table for the showbread. EXODUS 25.28 The poles were also made of shittim wood, and overlaid with gold for the table to be carried. EXODUS 25.29 The plates for the showbread, the spoons, and cups, and the bowls were all made of pure gold. EXODUS 25.30 And the showbread was placed on the table to be before The LORD GOD always. The Hebrew word for always is TAH’MEED meaning forever, without interruption. Showbread in Hebrew is LEH’KHEM PAH’NEEM, meaning the bread of the Presence, that is the bread that is placed in the Presence of GOD. The bread is explained in LEVITICUS 24.5-9. VERSE 5 Twelve cakes or twelve KHAH’LOTE, or as we say in English, twelve challahs. The twelve KHAH’LOTE or twelve challahs represent the twelve tribes of Israel. VERSE 7 Pure frankincense, or the fragrant incense was put on the bread for a memorial. Memorial in Hebrew is AHZ’KAH’RAH, meaning a reminder. And I believe the reminder was for the children of Israel to remember that GOD provides all our food, and He provides everything for His people. VERSE 9 The breads were for the High Priest and his sons. And they ate the breads in a holy place, perhaps somewhere in the Sanctuary. The bread was most holy for the High Priest because they were offerings to The LORD their GOD. The loaves were a gift to The LORD, and in turn The LORD gave the breads to the Priests in recognition for their service. Thus the showbread was a gift to The LORD from the children of Israel, and then The LORD in turn gave the bread to the High Priest and his sons for their service. But the showbread is also a reminder forever that The LORD GOD is our Provider. He provides our food, and He provides everything for us. And His provision started at the Creation. Before GOD created man, He first created the Heavens and the earth, and then light, and day and night. Then He created the sky and waters, and Heaven and dry land, and seas and grass, and herb yielding seed, and fruit trees each yielding its own kind of fruit, and trees. He then created the sun, the moon and the stars, and the fish in the waters, and birds above the earth. And He caused the earth to bring forth the living creatures, livestock, crawling animals, wild beasts and cattle. And when GOD had provided everything for man, He created man in His own image. GOD provides good health to those who keep His Commandments, Laws and Ordinances. And provides protection to those who keep His Laws. The LORD is the Provider of deliverance. He delivers the righteous from all our afflictions. The LORD provides the righteous with much treasure. GOD provides assurance to Israel and the Jewish people that He will never cast away His Jewish people. GOD provides The Holy Spirit to those who obey Him, and the things that eye has not seen, nor ear heard, neither have entered the heart of man the things which GOD has prepared for us who love Him. d that is placed in the presence of GOD in the Temple, on the pure gold table outside the Holy of Holies, separated by a veil, is to remind us that GOD is the Provider of our food, and every good and necessary thing. For all good things come from above, from The Father of Lights, Who never changes, and for that we should thank Him, and praise His glorious Name. James 1.17, Psalm 103, etc. Posted on September 22, 2013 Categories Uncategorized7 Comments on THE SHOWBREAD. SUKKOT, THE FEAST OF TABERNACLES. Shalom. This morning our teaching will be on Sukkot, The Feast of Tabernacles. So let’s turn to Leviticus 23.33-44 where The LORD GOD gave Moses the Laws for The Feast of Tabernacles. LEVITICUS 23.33-34 The fifteenth day of the seventh Hebrew month, which started at sundown last night, to sundown today is The Feast of Tabernacles. The Festival of Sukkot, the Hebrew for tabernacles, is for seven days unto The LORD. That is, the Festival is dedicated to The LORD as all the Festivals of The LORD are dedicated to The LORD our GOD. Scripture teaches that GOD’s day starts at sundown and ends the following day at sundown. GENESIS 1.1-5 The evening starts at the going down of the sun. Thus the day starts at the going down of the sun and ends the following day at the going down of the sun. LEVITICUS 23.35 The first day, today, is a holy convocation. You shall do no work of any kind on that day. Holy convocation in Hebrew is MEEK’RAH KODESH, meaning, a time set apart for The LORD because everything about the day concerns The LORD. It is a holy day, a gathering of the people for a Service. And it is also a rehearsal. I believe the rehearsal is to prepare for The LORD’s Return when we will observe all His Festivals according to His Laws. The Feasts of The LORD will be observed forever, all according to GOD’s Laws during the one thousand year Millennium, and throughout eternity in Heaven. LEVITICUS 23.36 The LORD places great importance on the sacrifice because it is the sacrifice and its shed blood that make atonement for the person. Thus one life is offered to atone for another. For Sukkot, The Feast of Tabernacles, The LORD commands the people that for seven days you shall offer an offering made by fire unto The LORD. And on the eighth day shall be a holy convocation unto you, and you shall offer an offering made by fire unto The LORD. It is a solemn assembly. That is, a gathering of the people for a Service, and you shall do no work of any kind in that day. Again, The LORD places great importance, great emphasis on the sacrifice in every one of His Festivals. In fact, The LORD commanded His people to make a sacrifice to Him every day of the year including the Sabbaths while the Temple stood. An offering made by fire in Hebrew is EE’SHEH, meaning a sacrifice, a sacrifice to make atonement for the people, for the forgiveness of their sins. And sin is violating The Law of Moses, 1 John 3.4. And atonement reconciles us together with GOD to be at peace with Him. Atonement, according to GOD’s Word in Torah, The Law of Moses is received only by the shed blood. That never changes. Leviticus 17.11. GOD’s Laws never change, they stand forever. Isaiah 40.8. Atonement can only be received by the shed blood, one life offered to atone for another. Question, did the GOD of Israel leave His Jewish people and all the world without the means for atonement for the forgiveness of their sins after the Second Temple was destroyed? No, He did not leave His people without an atonement. Judaism has been without a Temple in Jerusalem for nearly 2,000 years, but still, GOD requires a sacrifice and the shed blood for the atonement of our sins, to be reconciled with GOD, and to be at peace with Him. No invention of man will satisfy that requirement of GOD. GOD’s Law is “It is the blood that makes atonement for the soul”. Leviticus 17.11. Yes, it is written in The Scriptures that The LORD GOD Almighty ordered the destruction of the Second Temple by the Romans. It is “determined” the LORD GOD said. Let’s look at Daniel 9.24. The word determined in Hebrew is KHAH’TAKH meaning decreed. These words that GOD spoke to Daniel by the angel Gabriel (Verse 21) were GOD’s decree, His ruling, His decision, even His Law. GOD Himself will cause certain events to happen. And this is what He will cause to happen. There is a time period of seventy weeks, or 490 years that GOD has decreed upon your Jewish people, Daniel, and upon your holy city Jerusalem to finish the transgression, and to make an end of sins, and to make reconciliation, that is atonement for iniquity, and to bring in everlasting righteousness. That is, at the Return of The Messiah Yeshua Who is The GOD of Israel, Messiah will bring in everlasting righteousness to Israel during the 1,000 year Millennium. And seal up the vision. That is, seal up the prophetic revelation and prophecy, and to anoint the Most Holy, The Temple that will be built in Jerusalem in The Millennium. All decreed and ordered by The LORD GOD Himself. More events are ordered by The LORD GOD in Verses 25 and 26. Events that have already come to pass. They have happened. But yet, this prophecy was given to Daniel by The LORD GOD some 500 or 600 years before the events took place. Here are the events that GOD ordered that have happened. DANIEL 9.25 From the going forth of the commandment to restore and build Jerusalem to the time of Messiah The Prince will be 483 years. That is from the time of the commandment that was given in Nehemiah 2.8 to restore and to build Jerusalem to the time of The Messiah will be 483 years. Messiah Yeshua was in Israel 483 years after the commandment was given in Nehemiah 2.8. All decreed and ordered by GOD. DANIEL 9.26 This also is decreed and ordered by GOD. After forty-nine years building Jerusalem and another 434 years, or a total of 483 years from the commandment to restore and build Jerusalem, Messiah will be killed. But not for Himself. Yeshua The Messiah was killed “To Be Our Atonement” as GOD decreed 483 years from the time of the commandment in Nehemiah 2.8. And the people of the prince, this prince was the military commander of the Roman armies, General Titus, who destroyed the Sanctuary or The Temple. The destruction of The Temple took place some 37 years after Messiah Yeshua was killed. All determined and ordered by The GOD of Israel. This was not by coincidence, or chance, or serendipity, or fluke or luck. The destruction of the second Temple was by the decree of GOD Almighty. As was Messiah Yeshua killed by the decree of the LORD GOD Himself “to be our atonement.” Thus leaving Judaism without an “animal” sacrifice to make atonement for sins. But now having eternal atonement in our Messiah Yeshua. s why The Messiah was killed. To be OUR Atonement for the forgiveness of OUR sins. GOD said in Isaiah 53.10, GOD shall make His Soul an offering for sin. Messiah Yeshua is Our Atonement for sin. GOD decreed it, determined it, ordered it, and ruled it. It is Law, and it is Torah. Let one life be offered to atone for another, Rashi. Matthew or Levi was a descendant of Jacob, and Jacob’s third son Levi, to whom Moses himself belonged to the priesthood that belonged to the tribe of Levi. I’m not saying that Matthew was a priest. But he was Jewish. The New Testament is a Jewish book written by Jewish people, and is joined together with the Tnakh, The Old Testament Scriptures to make one book, or one Bible. Paul, whose given name is Saul was a Jewish man from the tribe of Benjamin, and he wrote that we have atonement in Yeshua The Messiah, confirming what The GOD of Israel says, GOD made His Soul, Yeshua The Messiah, an offering for sin. Isaiah 53.10. Atonement is so vital and important that GOD required sacrifices daily when the Temple stood. Even on the Saturday Sabbath, and during His appointed Festivals of Leviticus 23. PASSOVER – NUMBERS 28.16-19, etc. TRUMPETS or ROSH HA SHANNAH – NUMBERS 29.1-2, etc. DAY OF ATONEMENT – NUMBERS 29.7-8, etc. TABERNACLES – NUMBERS 29.12-13, etc. Thus when you receive, or have received Yeshua The Messiah, GOD put His Law in your inward parts. That is GOD wrote His Law, His Torah, His Law of Moses in your heart to obey Him. To be holy, acceptable to GOD, and to do the perfect will of GOD. That is what The GOD of Israel, Yeshua The Messiah requires of you, and that is not a new commandment, but an old one. Shalom. This morning our teaching will be on Yom Kippur, The Day of Atonement, which is today. Yom Kippur is the fifth appointed Festival of The LORD. The first appointed Festival of The LORD is the weekly Saturday Sabbath, followed by Passover, then Shavuot or Pentecost, and then the Memorial of Shofar Blasts, better known in Judaism as Rosh Ha Shanah, The New Year. Then today, Yom Kippur, The Day of Atonement. Following Yom Kippur is Sukkot, or Tabernacles, the first and eighth days of Tabernacles that are five and twelve days from today on Thursday, September 19th, and Thursday, September 26th. The LORD has six appointed Festivals annually for us to observe. But when we include the seventh day of Passover, a Sabbath, and the eighth day of Tabernacles, also a Sabbath, The LORD has eight appointed Festivals that we are to observe annually. The LORD calls His appointed Festivals Holy Convocations. A Holy Convocation is a time set apart for The LORD for the gathering of His people for a Sabbath service like today. To observe the day as Holy, even a rehearsal, and we will speak about the rehearsal later in our teaching. LEVITICUS 23.26 When GOD speaks, His Words are a Commandment and Law. When we speak to people and say something to them, we simply speak to them. However, when GOD speaks and says something, GOD speaks a command, while His Word is Law. We are taught in The Bible that we are to live by every word GOD speaks, because every word GOD speaks is Law, even wisdom and understanding. LEVITICUS 23.26-28 Those are GOD’s Commandments and Laws for observing Yom Kippur, The Day of Atonement. – Yom Kippur is observed on the tenth day of this seventh Hebrew month Tishrei from Friday at sundown to today at sundown. That is the appointed time set by GOD for Yom Kippur, The Day of Atonement. – It shall be a Holy Convocation to you. A time set apart for The LORD, a gathering of the people for a service, to observe the day as Holy to The LORD, and a rehearsal. – And you shall afflict your souls. – And offer an offering made by fire to The LORD. Obviously there is no sacrifice today because there is no Temple in Jerusalem, Leviticus 17.8-9. Yeshua The Messiah is our Sacrifice to The LORD, and the Atonement that the LORD GOD requires. – You shall do no work in that day, for it is the Day of Atonement to make an atonement for you before The LORD your GOD. – In Verse 31, not working on Yom Kippur is a statute forever. In fact all GOD’s Festivals will be observed forever. The LORD said to Moses that the Day of Atonement is an appointed Festival of The LORD to be kept and observed always. GOD gave Moses those words concerning all GOD’s appointed Festivals when The LORD met with Moses in the Tabernacle in the wilderness, in the Holy of Holies when GOD spoke to Moses from above the mercy seat, from between the two cherubim which were upon the Ark of the Covenant. There, some 3,400 years ago, The LORD spoke to Moses and gave Him all the Laws of GOD including His Laws and Commandments for His appointed Festivals that are to be observed forever by Jewish people and all peoples. All GOD’s Laws are written in The Law of Moses, and they stand forever. They never change, and they never disappear. Isaiah 40.8. Yom Kippur, The Day of Atonement, is the most solemn and serious occasion of the Jewish calendar. Let’s talk briefly about GOD’s Holy Convocation also being a rehearsal. As you know, a rehearsal is preparation and practice for a coming event that you will be part of. And I believe that coming event is the return of The LORD GOD, Yeshua The Messiah to establish His Messianic Kingdom in Israel when He will be King over all the earth. Zechariah 14.9. Thus I believe the rehearsal is preparation to observe GOD’s Festivals with our GOD and Messiah Yeshua forever in The Millennium and in Eternity in Heaven. Even Yom Kippur, The Day of Atonement. Also I believe that on Yom Kippur, The Day of Atonement, immediately after The LORD’s Return, many Jewish people, those not delivered from their sins, having no atonement, will mourn and weep when they look upon The One Whom we pierced, and seeing He is The One so many Jewish people have despised and rejected. And they will see Yeshua The Messiah, The GOD of Israel, their Messiah, Deliverer and Saviour, and they will see their Atonement for their sins, and receive HIM and believe that HE is The Messiah. And GOD will immediately forgive their sins, and save and deliver them. They will be His People, and He will be their GOD. (Zechariah 12.10-14) The word mourn means to weep and be in sorrow. And bitterness means to be grieved and sad. That is how those unsaved Jewish people will react when they look upon The One they have despised and rejected for so long. Repentance means turning from all our sins. Sin is violating The Law of Moses. 1 John 3.4. Repentance is turning from all our sins we have committed, and turning to GOD, keeping and obeying all GOD’s Laws that are written in The Law of Moses, doing that which is lawful and right. And repentance is also turning to, and believing in The Jewish Messiah Yeshua Who is taught in Torah, The Law of Moses. Because not believing in Yeshua The Messiah, The GOD of Israel is also sin. Genesis 3.15, Genesis 49.10, Deuteronomy 18.15-18, Elohim, etc. Not to be repented of means that GODLY sorrow is not to feel sorry about sorrow that turns us from our sins, to believing in Messiah Yeshua correctly, living by The Word Of GOD, HIS Law of Moses. But the sorrow of the world works death. That is the sorrow of a worldly life that disobeys GOD and His Law of Moses. Thus the sorrow of the world produces death, spiritual death which is eternal death. The Bible teaches throughout, especially in the Prophets, that GOD will save many unsaved Jewish people when He brings them into The Millennium, into the land of Israel at The LORD’s Return. And they will look upon Him Whom we have pierced, and mourn for Him as one mourns for His only Son. JEREMIAH 23.1-8, EZEKIEL 37, ETC. LEVITICUS 23.27 And you shall afflict your souls. The Rabbis teach that the words, “And you shall afflict your souls”, mean fasting. Not eating or drinking anything on The Day of Atonement. I disagree. I believe that afflicting our souls means to be humble and submissive before The LORD our GOD, and obey Him. ice of words would be you should humble yourself. Let’s talk a little bit about the Talmud where there is a statement that reads, Yom Kippur, the Day of Atonement is one of the happiest days in Israel. Testament Scriptures that established Rabbinic authority in Judaism after the destruction of the second Temple in 70 C.E., A.D., by the Romans. The Talmud is a collection of teachings and commentaries from the major Jewish scholars who flourished between 200 to 500 C.E., A.D. which is the classic period, or authoritative period of Rabbinic Judaism, as compared to Biblical Judaism. Biblical Judaism is the authority of The Bible, especially The T’Nakh, The Old Testament in Jewish life. The Talmud mark the ten day period from Rosh Ha Shanah to Yom Kippur as ten days of penitence, repentance, contrition and sorrow. I am in agreement with The Mishnah statement that The Day of Atonement is a happy day. In fact, one of the happiest days in our lives because those of us who believe in The Jewish Messiah Yeshua have atonement for our sins, exactly as The LORD GOD requires of us on this Day of Atonement. Our sins have been forgiven and atoned for by the sacrifice and shed blood of our Messiah. The LORD GOD has forgiven all our sins, and He remembers them no more. Jeremiah 31.31-34. And in The Messiah Yeshua, when we believe in Him, and live by every Word that proceeds out of the Mouth of GOD as Yeshua taught in Matthew 4.4, we have eternal life with Him in The Millennium and in Heaven, having our body in the likeness of GOD where there will be no tears, no more death, neither sorrow or crying, neither shall there be any more pain, but everlasting joy and gladness. So yes, today, The Day of Atonement is for us the happiest of days. I think the Rabbis who wrote that statement in The Mishnah that Yom Kippur is one of the happiest days in Israel were believers in The Jewish Messiah Yeshua. They knew their sins were atoned for, and they had eternal life in Heaven with their Messiah Yeshua, the GOD OF ISRAEL. That indeed is a very happy day. LEVITICUS 17.11 It is the blood, and the blood only that makes atonement for our souls. And it is Messiah Yeshua’s shed blood that makes atonement for our soul, and forgives all our sins. JOHN 1.29 Messiah Yeshua not only takes away the sins of the Jewish people who believe in Him, He takes away the sins of the world of those who also believe in Him. MATTHEW 26.26-28 At Messiah’s last Passover seder, or The Last Supper, Messiah teaches all mankind that He is The New Covenant, or The New Testament that atones for our sins, that His shed blood is the atonement required by The LORD our GOD for the forgiveness of all our sins. So, why is atonement necessary? Why is forgiveness of sins so important? First of all, The LORD requires us to have atonement for Him to forgive our sins. Quite simply we need atonement because GOD says we need atonement. So yes, Yom Kippur is one of the happiest days in our life because our sins have been atoned for and forgiven through the sacrifice and shed blood of The Messiah Yeshua. Exactly what GOD requires of us. And we are reconciled with The LORD our GOD. NOW, our lives are to be a living sacrifice, holy and acceptable to The LORD. That is our reasonable service to live according to the perfect will of GOD. Romans 12.1-2. As Yeshua said, we are to live by every word that proceeds out of the Mouth of GOD. MATTHEW 4.4. That is how we are to live now that we have atonement for our sins by every Word GOD speaks. Posted on September 15, 2013 Categories Uncategorized1 Comment on YOM KIPPUR, THE DAY OF ATONEMENT. Shalom. Our teaching this morning will be from Exodus 25.10-22. Let’s set the stage before we describe GOD’s instructions to Moses concerning the construction of the Ark of the Covenant. The scene is Mt. Sinai, shortly after The GOD of Israel gave the Children of Israel the Ten Commandments. And The LORD had said to Moses, come up to Me in the mountain, and there I will give you tables of stone, The Law and The Commandments which I have written that you may teach the people. And Moses went up into the mountain, and the glory of The LORD, GOD’s Presence, remained on Mt. Sinai for six days. And the seventh day, GOD called Moses into the cloud. And Moses went into the cloud, and climbed further up the mountain, and Moses was with The GOD of Israel Who is Yeshua The Messiah, forty days, and forty nights. And The LORD spoke to Moses and said, speak to the children of Israel and tell them to bring Me gifts and offerings; gold and silver, and brass and blue, and purple, and scarlet, and fine linen, and goat’s hair, and ram’s skins, and badger skins, and shittim wood, oil for the light, spices for anointing oil, and sweet incense, onyx stones, and stones to be set in the ephod and in the breastplate. And let them make Me a Sanctuary that I may dwell among the people. Exactly as I show you, the pattern of the Tabernacle, and the pattern of all its furnishings, so shall you make it, GOD said. Obviously, The LORD showed Moses a Heavenly vision of His Sanctuary and all its furnishings. EXODUS 25.10-11 Shittim wood is also called acacia wood, and as we mentioned last week, comes from large trees that are grown in Egypt, and the wood becomes hard when it grows old. And it becomes ebony, a deep lustrous black. So the Ark of the Covenant was made of acacia wood, and overlaid with pure gold inside and out. And a crown of gold was all around the top. The measurements of the ark were 4 feet long, 3 feet wide, and 3 feet high. EXODUS 25.12-15 Four gold rings were made for the four corners of the ark on each side, and poles of acacia wood overlaid with gold were inserted into the gold rings for men to carry the Ark of the Covenant. And the poles remained in the rings, never to be removed. EXODUS 25.16 And the two tables of stone with the Ten Commandments written by the Finger of GOD on both sides were placed in the Ark. EXODUS 25.17 The Mercy Seat in Hebrew is KAH’PO’RET. It is the cover, or the lid for the Ark which was made of pure gold, 4 feet long, and 3 feet wide. EXODUS 25.18-20 And of course the two cherubim of gold in beaten work, or a hammered work were part of the mercy seat. And for an explanation of the wheels, let’s read EZEKIEL 1.15-28; 2.1-5. Thus, the cherubim on the Ark were not little chubby naked boys with wings, but the cherubim were in the likeness of awesome living creatures. The cherubim on the Ark of the Covenant were on each end of the Mercy Seat with their wings stretched out, and their wings covered the Mercy Seat, and their faces looked toward one another, toward the Mercy Seat. EXODUS 25.21 So GOD instructed Moses to put the Mercy Seat above upon the Ark. And Moses was to put the two tables of stone with the Ten Commandments written by GOD in the Ark. And it was the Levites to whom GOD gave charge for all the duties of the Tabernacle which of course included the Ark of the Covenant. In Hebrew, the Ark of the Covenant is ARONE BEH’REET, also ARONE HA BEH’REET, YEHOVAH, the Ark Of The Covenant of The LORD, also ARONE HA EYDUT, the Ark of the Testimony, also ARONE YEHOVAH, the Ark Of The LORD, and ARONE ELOHIM, the Ark Of GOD. And Judaism sees the Ark of the Covenant as the most sacred object in Biblical history. The Torah is The Word of GOD. But Moses entered into the Holy of Holies often to meet with The LORD GOD where The LORD gave Moses all the things which He commanded for the children of Israel. Only certain men of the Levites were allowed to even touch the holy vessels of the Sanctuary including the Ark of the Covenant. Unauthorized people who even touched the holy things would die. When Solomon’s Temple was destroyed by the Babylonians in 586 B.C.E., B.C., no mention in The Bible is made of the Ark. However, Rabbinic tradition maintains that Josiah, King of Judah hid the ark so that it would not be taken to Babylon. And 2 Maccabees in the Apocrypha reads that the prophet Jeremiah hid the Ark in a cave in Mt. Nebo along with the tabernacle, the tent of GOD’s Presence. As a point of information, the Apocrypha, where 2 Maccabees and other writings are found, contains a group of books that are not found in the Jewish versions of The Tnakh, The Old Testament, or in The New Testament. But the Apocrypha is included in The Septuagint, the oldest Greek version of The Tnakh that was written by seventy-two Jewish scholars from Jerusalem. The Septuagint was written around 200 B.C.E., B.C. The Apocrypha is also found in Roman Catholic editions of The Bible. Because GOD The Messiah will be in the presence of His people in the Millennium always. But there is an interesting verse that speaks of the Ark of the Covenant being in GOD’s Temple in Heaven. Yet when we are with The LORD GOD in Heaven after the 1,000 year Millennium, The Scriptures teach that there will be no Temple in Heaven, and I believe no Ark will be there as well. I’m going to guess, surmise might be a better word, to think without strong evidence, that there will be no Ark of the Covenant in the Millennial Temple, and from Revelation 21.22, there will be no Temple in Heaven after the Millennium, thus no Ark. In Revelation 11.19, the vision that John saw might have been similar to the vision GOD gave Moses to build the Tabernacle and all its furnishings. There is no need for the Ark of the Covenant to be in the Millennial Temple or in Heaven because all the redeemed of The LORD will appear before The LORD of Hosts, Messiah Yeshua forever, to stand before The LORD, to praise Him, and minister to Him, and bless Him. I would have to say spiritually that the Ark of the Covenant is in our hearts in the form of The Holy Spirit. GOD commanded Moses to put the stones with the Ten Commandments, and the Book of The Law, The Law of Moses into the Ark as a testimony for the people to obey The LORD their GOD. And the Ark spiritually had awesome and divine power. The Ark was used to cross the Jordan River for the Children of Israel to proceed into the promised land. It was used to destroy Jericho. It was used for GODLY protection, and much more. When we came to believe in The Messiah Yeshua, GOD put His Law in our inward parts, and wrote it in our hearts to obey Him. Jeremiah 31.31-34 The Holy Spirit is given to those who obey GOD. Acts 5.32. Like the Ark of the Covenant when GOD met with Moses between the cherubim to speak with him, The Holy Spirit in us, Who is GOD ALMIGHTY, YESHUA THE MESSIAH meets with us continually to comfort us, teach us, guide us, and protect us. And His awesome and divine power is forever with us for our good. Posted on September 8, 2013 Categories Uncategorized5 Comments on THE ARK OF THE COVENANT. Shalom. Our teaching this morning will be from Leviticus 23.23-25. So this morning our teaching will focus on the subject of The Memorial of Blowing of Shofars, especially focusing our attention on the memorial, remembering The LORD our GOD. LEVITICUS 23.23-24 a Sabbath of course is a day of rest, doing no work of any kind. The Hebrew word here for Sabbath is SHA’BAH’TONE meaning a special Sabbath, or a great Sabbath. This is a Sabbath not connected to the weekly Sabbath of Saturday, but a special Sabbath, A Memorial Of Blowing of Shofars. The weekly seventh day Sabbath from Friday at sundown to Saturday at sundown was consecrated, or declared holy and dedicated to The LORD GOD at the Creation. The Festivals of The LORD are Sabbaths no matter what day they fall on. The first and seventh days of Passover are Sabbaths. Pentecost, called Shavuot in Hebrew, or weeks, fifty days after the first day of Passover is a Sabbath. Today, A Memorial Of Blowing Of Shofars is a Sabbath. Yom Kippur, the Day of Atonement is a Sabbath. The first and eighth days of Sukkot or Tabernacles are Sabbaths unto The LORD, days of rest without doing work of any kind. And of course the weekly Sabbath on the seventh day of the week from Friday at sundown to Saturday at sundown. GOD calls the seventh day a Sabbath, and like all the other Festivals of The LORD, a Holy Convocation, meaning a gathering of the people for a time set apart for The LORD. All the Festivals of The LORD and His Sabbaths are described in Leviticus 23. LAH’KHEM SHA’BAH’TONE ZEEKH’RONE TEH’ROO’AH MEEK’RAH KO’DESH. To you a Sabbath, A Memorial Of Blowing Of Horns, A Holy Convocation. The Hebrew word TEH’ROO’AH (Blowing of Trumpets) can also mean, a day of shouting, or raise a cry, or raise a shout. The word memorial, as in a memorial of blowing of shofars means remembering. The Hebrew word for memorial is ZEEKH’RONE meaning remember or remembering. Memorial is defined as something designed to preserve the memory of a person, event, or thing, or simply remembering a person or event. Also, the trumpet blasts, or the blast of the shofars were sounded in Israel when the Jewish people were in danger, and to call their plight to GOD’s attention, and secure His assistance. Or the shofars were sounded when celebrating Festivals, new moons, and the appointed seasons of The LORD such as today. The annual day of shouting would be today. Thus the Memorial Of Blowing Of Shofars would be seen as a day of Israel’s crying out to The LORD their GOD to remind Him that we are His people and we need Your help. Rosh Ha Shana became among other things, a day to mark GOD’s sovereignty as King. And Rosh Ha Shana became a time in Judaism to begin Judaism’s ten day period of penitence or repentance. A time to express our sorrow for sin and wrongdoing in anticipation of the final Judgment. The ten day period starts at Rosh Ha Shana and concludes with Yom Kippur, The Day of Atonement. This is a teaching from the Mishnah in the Talmud, the oral law. The Mishnah is foundational text for Talmudic law and tradition. LEVITICUS 23.25 In every Festival of The LORD, sacrificial offerings were required by The LORD GOD to make atonement for the people. And because there is no Temple in Jerusalem since 70 C.E., A.D. when the Romans destroyed it, it would be unlawful for sacrifices to be performed. But shed blood is still required to make atonement for the soul. Today it is the shed blood of the Jewish Messiah Yeshua that makes atonement for the soul. There is no other way for atonement for The LORD GOD says, His Soul is made an offering for sin. Messiah’s life is made a sacrifice for transgressions. Returning to A Memorial Of Blowing Of Shofars, I also see the memorial or remembering The LORD our GOD as a special reminder of all the wonderful things He has done for us, and all the great promises He has made to us. And they are without number. Let’s look at just a few of them. We must also remember that GOD will never forget us. And we must always remember that GOD remembers His everlasting covenant with us of His eternal protection for His people. That GOD is our GOD, and we are His people, forever. And we must always remember that GOD gave the land of Israel to His Jewish people forever. And that Messiah Yeshua is our Messiah for the atonement of our sins, and eternal life in Heaven. We must remember that The LORD our GOD always delivers the righteous from all their afflictions. The Angel was GOD Himself, Yeshua The Messiah. We must always remember that GOD requires us to fear Him, and walk in all His ways, to love Him, and serve Him with all our heart, and all our soul, and keep His Commandments FOR OUR GOOD. We should remember that GOD will give us peace and much more if we obey Him, and keep His Laws that are written in The Law of Moses. We must remember the coming last day that those who live, and have died in Messiah Yeshua, Who is The GOD of Israel, Who have presented themselves a living sacrifice, holy and acceptable to GOD, living according to the perfect will of GOD, will at Messiah’s Return, at the sound of the shofar of GOD, GOD will raise him and her up at the last day, John 6.39-40. Those who are dead in Messiah will rise first, and we who are alive and remain will be caught up together with them in the clouds, to meet The LORD in the air. And so shall we ever be with The LORD, entering the Millennium in Zion with songs and everlasting joy upon our heads. And sorrow and sighing will flee away and vanish forever. Therefore comfort one another with those words. Always remember that. THE TABERNACLE IN THE WILDERNESS, AND THE ONE GOD OF ISRAEL. Our teaching this morning will be from Exodus 25.1-9. Let’s set in motion the events that are to take place. The LORD had said to Moses, Come up to Me into the mountain, that is Mt. Sinai, and there I will give you tables of stone with The Law and The Commandments which I have written that you may teach the people. The LORD GOD was speaking of the Ten Commandments that are part of The Law of Moses. And Moses rose up, and also his attendant Joshua, and Moses went up into the mountain of GOD. And they said to the elders, stay here for us until we come again to you, and Aaron and Hur are with you. If any have any matter to do, let him come to them. And Moses went up into the mountain, and a Cloud covered the mountain. And the Glory of The LORD, GOD’s magnificent brilliance, His Presence, even Himself, remained upon Mt. Sinai, and the Cloud covered it six days. And on the seventh day GOD called to Moses out of the Cloud. And the sight of the Glory of The LORD was like devouring fire on the top of the mountain in the eyes of the children of Israel. And Moses went into the Cloud, and climbed up further into the mountain, and Moses was in the mountain with The GOD of Israel forty days, and forty nights. EXODUS 25.1-2 These offerings to The LORD in Hebrew are TEH’ROO’MAH meaning gifts and presents. EXODUS 25.3-9 Slaves are not wealthy people. They are usually broke. And the children of Israel, who today are the Jewish people, were slaves in Egypt for four hundred years. However, at their deliverance by The LORD GOD out of Egypt in the Exodus, they left with great riches exactly what The GOD of Israel had promised Abraham some 721 years earlier. Thus the children of Israel had great riches to bring to The LORD those gifts and offerings He requested to make His Sanctuary. Sanctuary in Hebrew is MEEK’DAHSH meaning Holy Place. And MEEK’DAHSH comes from the Hebrew word KAH’DAHSH meaning Holy, and Holy Place. The plight of the Jewish people in Egypt, and their deliverance, and the great substance they received afterwards from the Egyptians are testimony that The LORD GOD will always deliver you from your troubles, and give you that which is necessary to serve The LORD your GOD. And He will always provide your every need. There were no grocery stores in the wilderness, or clothing stores, or electric, or anything. It was forty years of wild desert wilderness. But GOD provided food, water, clothing, and so much more to some three million people and their animals over forty years. And GOD will always provide for you. So the children of Israel had more than enough to give The LORD those gifts He requested to make Him a Sanctuary; gold and silver, and brass and blue, and purple and scarlet and fine linen, and goats’ hair, and rams’ skins dyed red, and badger skins, and shittim wood. Shittim wood comes from large trees that are grown in Egypt. And the wood becomes hard when it grows old. And it resembles ebony, a deep lustrous black. Also The LORD requested oil for the light, spices for anointing oil and sweet incense. Onyx stones to be set in the ephod and the breastplate. The ephod was the embroidered outer garment that was worn by the High Priest. EXODUS 25.8 The Sanctuary is also called the Mishkan in Hebrew meaning the Dwelling Place, and it is also called the Ohel Mo’ed, the Tent of Meeting. And as previously mentioned, the Sanctuary was the place where Moses met with GOD to receive GOD’s Laws. Exodus 25.21-22. The Sanctuary is also called the Tent of the Testimony, or the Tent of the Covenant. Thus, GOD said to Moses in the mountain, let them make Me a Sanctuary that I may dwell among them. The Word was made flesh, meaning The Word became a human being. The Word is GOD, Yehovah, Elohim, the One GOD of Creation, The GOD of Israel, The Messiah, The Son of GOD. He was sent by The LORD GOD to the lost sheep of the house of Israel. And there is only One GOD. Paul writes in Romans 11.33 that GOD’s ways are past finding out. His ways are unsearchable. Thus GOD sent GOD Himself. GOD explains that in The Bible in Zechariah 2.8-11 and Isaiah 48.16-17. And GOD sent Himself in the Person of Yeshua The Messiah. And when Messiah returns, we will see The GOD of Creation, The GOD of Israel, and we will dwell with Him, and eat with Him forever. Let’s look at some scriptures where Messiah says He was sent. JOHN 7.28-29 Yeshua knows Him, GOD, because Yeshua is Him. He is GOD Almighty. JOHN 12.44-45 Yeshua confirms Biblical teaching that The One GOD has sent Him and Yeshua the Messiah is The One GOD. JOHN 15.21 Unless you believe that Yeshua the Messiah is the One GOD, you do not know GOD. JOHN 17.1-3 Yes, GOD’s ways are past finding out, and Yeshua and The Father speak to each other. Both are The One GOD, Elohim, a plural Hebrew word for The One GOD of Israel. GENESIS 19.24 The LORD sent HIMSELF, The LORD to Abraham, while He remained in Heaven, and to rain brimstone and fire upon Sodom and Gomorrah. That is Biblical teaching about The One GOD. EXODUS 24.10 And GOD sent Himself, The GOD of Israel to dwell with the children of Israel in the wilderness, though GOD dwells in Heaven continually. EXODUS 25.9 GOD gave Moses detailed instructions for building the Tabernacle in the wilderness. The LORD said, according to all that I show you after the pattern of the Tabernacle and its furnishings. Obviously, GOD displayed a Heavenly image to Moses of the Tabernacle and all its furnishings. This is how you are to make it, GOD said to Moses. The Tabernacle in the wilderness was the forerunner of the first and second Temples in Jerusalem. Its design, proportions, and functions were a miniature portable version of the future permanent Temple of The GOD of Israel built by Solomon in 964 B.C.E., B.C. As a point of information, the children of Israel brought the wilderness Tabernacle with them into Canaan where it was erected for the last time in Shiloh. And there it remained and became a fixed Sanctuary where the people worshipped The LORD their GOD until Solomon’s Temple was built. Shiloh was a city situated on a mountain in the territory of Ephraim some nineteen miles north of Jerusalem. There the Tabernacle would remain for 369 years until Solomon’s Temple was built. Shiloh means tranquility and rest. And Shiloh is also a term used to describe The Messiah. So the Tabernacle was set up, ordained, and established one year after the Exodus out of Egypt, on the first day of the first month Nisan (March or April) thirteen days before the second Passover. So Moses finished the work that GOD commanded him. And then, the Glory of The LORD appeared in the form of a Cloud. The LORD’s magnificent and brilliant Presence covered the Tent of the Congregation. And the Glory of The LORD filled the Tabernacle, and Moses was not able to enter into the Tent of the Congregation because the Cloud took up residence inside and outside. And the Glory of The LORD filled the Tabernacle. The Tabernacle and the design of all its furnishings were not to be a product of human creation, but had to comply exactly with GOD’s specifications that GOD gave Moses that are written in The Law. Just as one cannot receive atonement for their sins except by the way prescribed by The GOD of Israel in The Bible, in The Law of Moses. And not by the creation of man. GOD says, it is the blood that makes atonement for the soul. There is no other way. Today we have atonement for our sins through the shed blood of The Jewish Messiah Yeshua. That is the only way for atonement. There is no Temple standing in Jerusalem, thus it is unlawful to hold sacrifices. Posted on September 1, 2013 Categories Uncategorized13 Comments on THE TABERNACLE IN THE WILDERNESS, AND THE ONE GOD OF ISRAEL.